The Hunger Games‘ Liam Hemsworth took his fiancée, Miley Cyrus, “back in time” over the weekend. 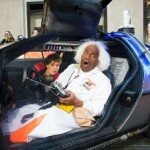 No, not in hot-tub time machine or a souped–up DeLorean. 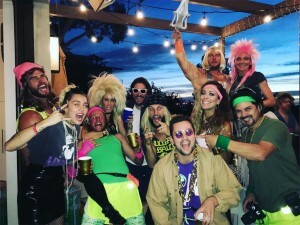 They were attending Liam’s big brother’s 80s-themed blowout. 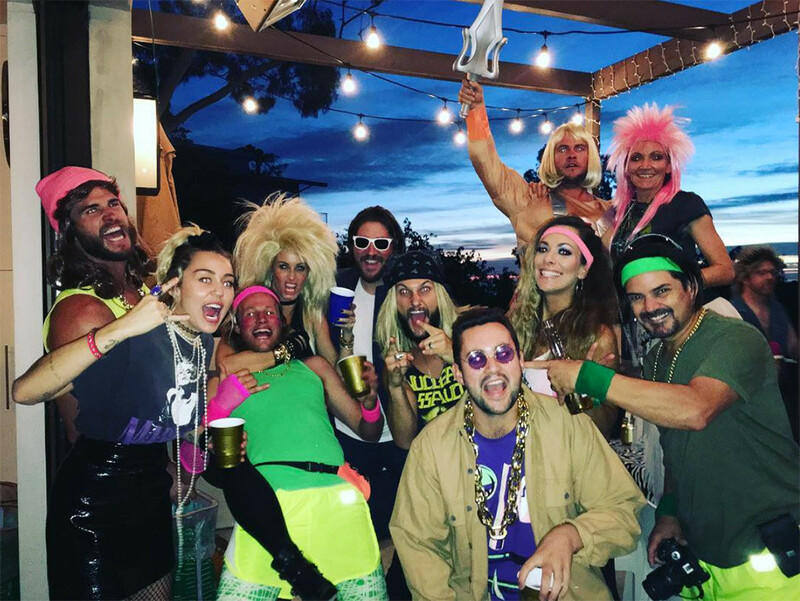 It was Luke Hemsworth’s 36th birthday, and he wanted to celebrate it by throwing a party inspired by the decade of his birth—the 80s. This included Luke’s retro birthday cake, modeled after Rubik’s Cube and Pac-Man. 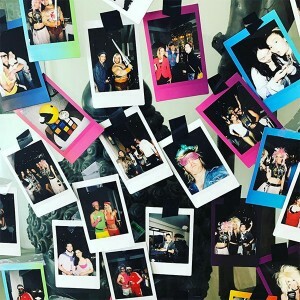 Liam and Miley got into the spirit of things by wearing rad, retro costumes. Miley was clad in a tight, leather skirt and a Madonna t-shirt. 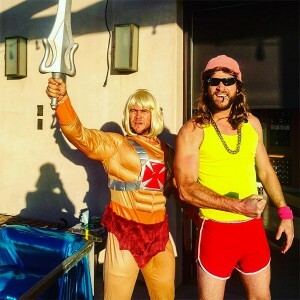 Liam was unrecognizable—not to mention hilarious— in his Fabio wig, sunglasses, big gold chain, and his “Let’s Get Physical” outfit: a yellow tank top, red shorts and a pink sweatband. Looks like the 80s are here to stay…If celebrities have anything to say about it.